A Tupolev Tu-154 passenger plane of the Russian Defense Ministry fell into the sea immediately after taking off at Sochi’s Adler airport on Dec. 25. 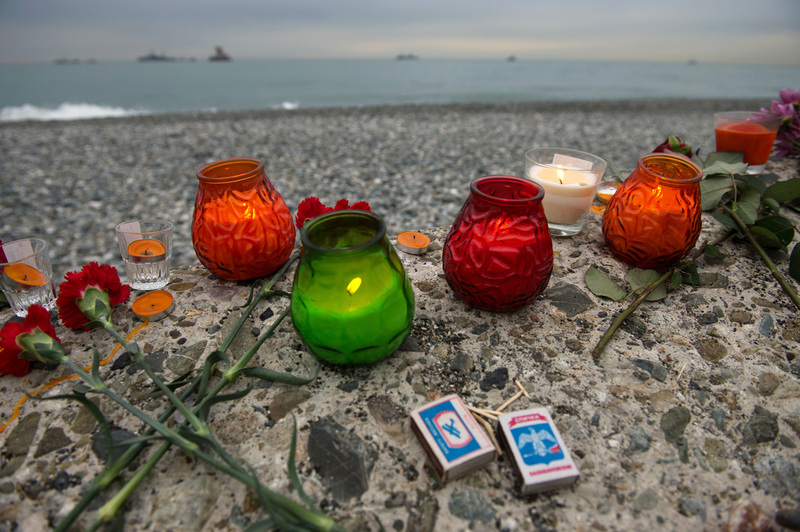 Another flight recorder of the ill-fortunate Tupolev-154 that crashed near Sochi has been recovered from the seabed. "The second flight recorder of the Tupolev-154 plane was spotted and recovered less than 30 minutes ago," the Defense Ministry’s report runs. Earlier, the plane’s cockpit voice recorder (CVR) was delivered to the Russian Aerospace Force’s research center in Lubertsy, near Moscow. Primary analysis of the data already retrieved from the first recorder has allowed for narrowing the range of likely causes of the plane’s crash. A Tupolev Tu-154 passenger plane of the Russian Defense Ministry fell into the sea immediately after taking off at Sochi’s Adler airport on Dec. 25. There were 92 people on board, including career military, TV camera crews, human rights activist Yelizaveta Glinka and performing artists from the Russian army’s Aleksandrov song and dance company, which was expected to perform before the personnel of Russia’s Hmeymim air base in Syria on New Year’s Eve.